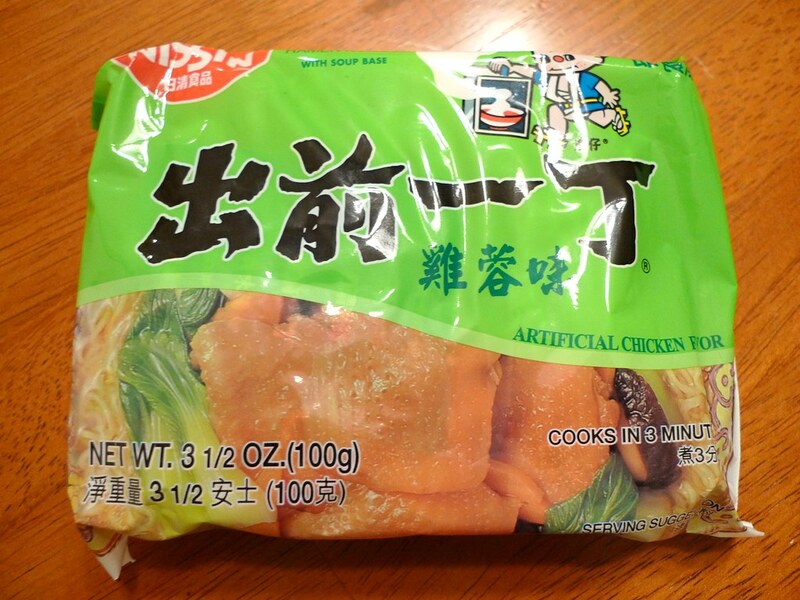 Nissin Demae (出前一丁) Ramen - chicken package. For my first review, I chose to do a brick ramen that I've never had before, but have always seen on the shelves. 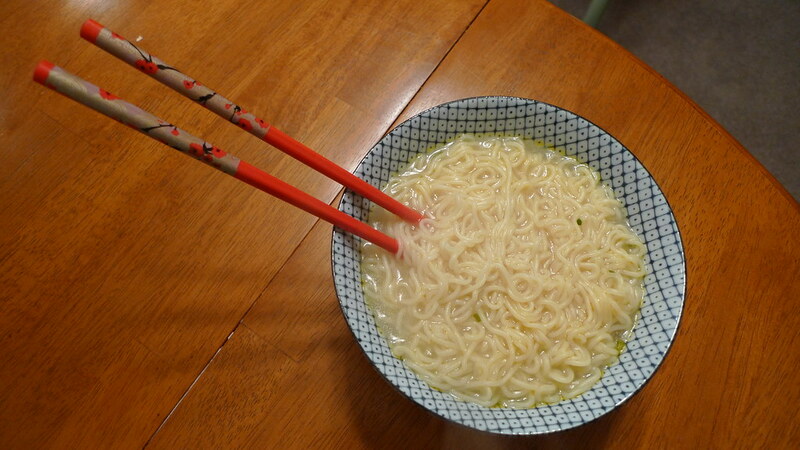 Here is Demae (出前一丁) Ramen (Itcho) made by Nissin, the same people that make America's favorite staple, Top Ramen. There are a few different flavors with this brand, so today I'd like to review the chicken flavor. The package comes with the brick of noodles, a seasoning packet, and a small packet of oil. Because of its long-time presence in the Hong Kong market, the nickname "公仔麺" (lit. 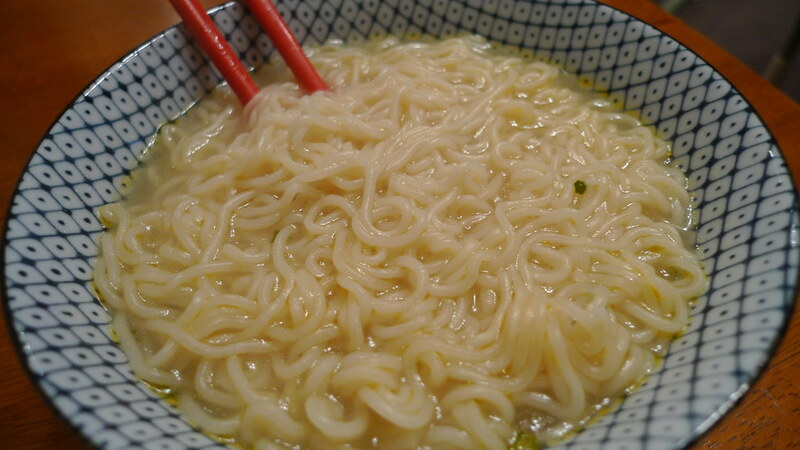 "Picture" noodles, so called due to the picture of the little boy) has become synonymous there with instant noodles. 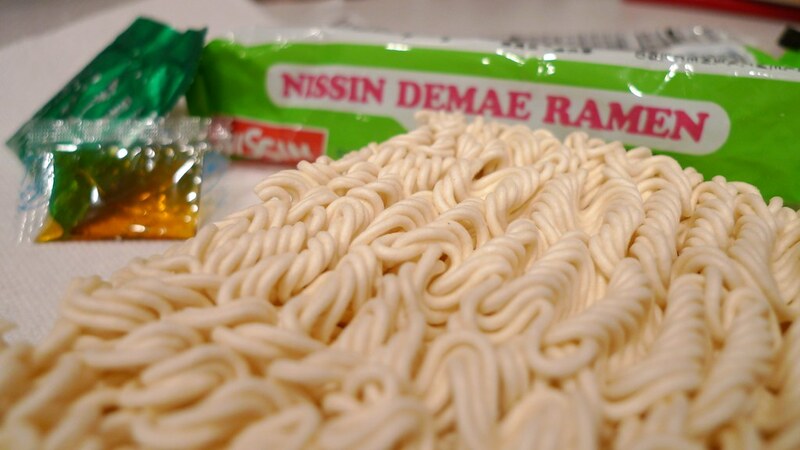 Nissin Demae Ramen - chicken is pretty good. 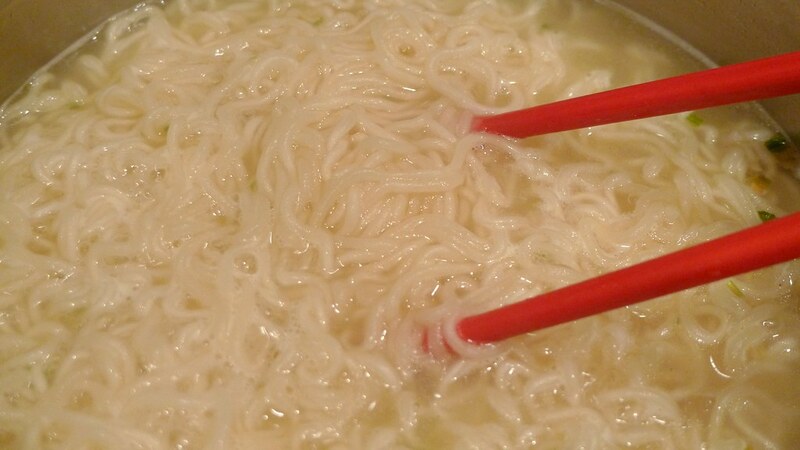 The noodles are thinner and rounder than Top Ramen's noodles. Therefore, I don't think it carries the taste of the broth well. It's better to eat with a large spoon. The broth is a bit salty and the chicken flavor is mild. I could taste a lot of onion in it. My biggest problem with it is that the chicken flavor is artificial. 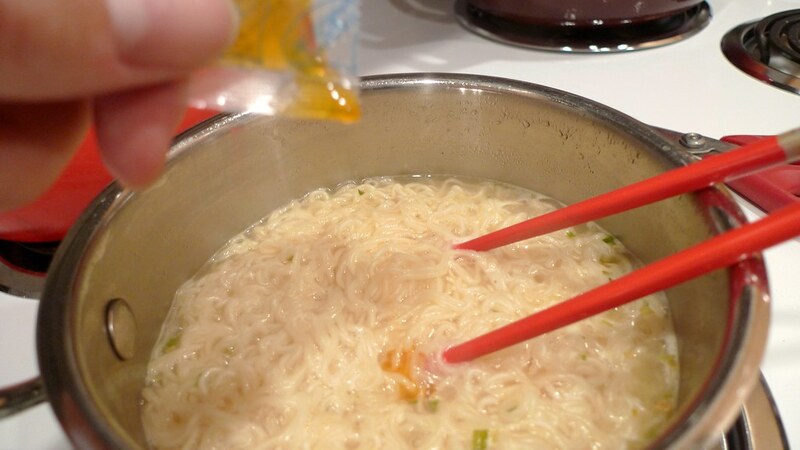 I mean, even Top Ramen's chicken flavor has natural flavors and chicken fat in it. 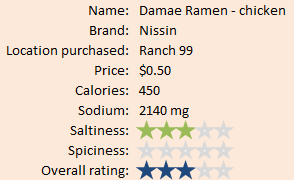 However, this one's taste has more of a ramen texture. It would be good for a ramen addict who is just starting out. Adding the oil to the soup. First time I think I've done this. I think adding egg, chicken meat, turkey meat, duck meat, and/or Chinese cabbage would be good with this soup. The portion is a little bigger, too. It cooks in 3 minutes just like Top Ramen, so that's another plus. However, this one has an oil packet with it. I could definitely tell that the broth was a little more oily, but it was quite pleasant. Nissin's chicken Damae Ramen ready to be consumed. 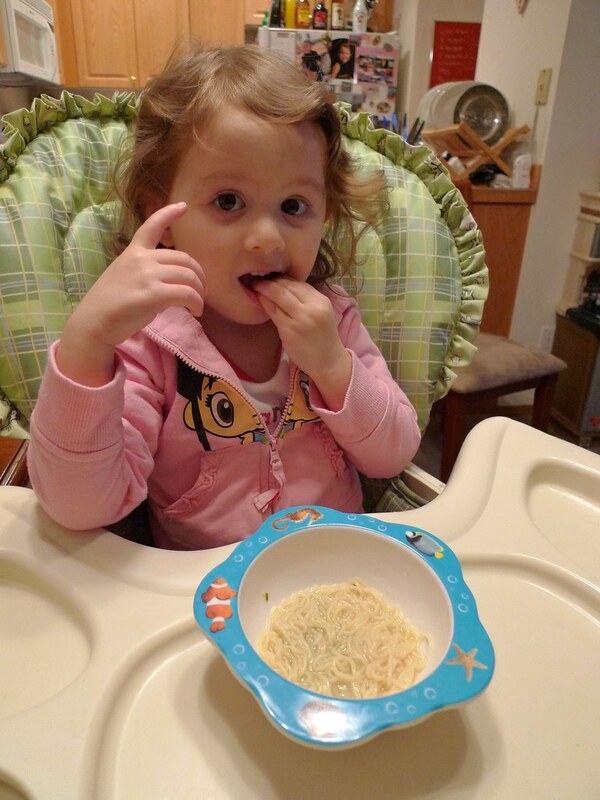 When Juliana was eating this, she said "Num, num, num... mmmmmmmm." I sort of like Top Ramen a little better, but not by much. Worth trying and having a few times, but not something I would buy over and over and over again.